In 1972, Florence Stecher, wife of Dr. Robert M. Stecher, donated a collection of Darwin letters to the Cleveland Medical Library Association. Dr. Stecher had been an informed collector of Darwin books and manuscripts, along with the writings of other naturalists. The collection contains 179 letters between Darwin and his contemporaries, comprising a prime source for understanding the scientific and intellectual network of which he was a central part. The two principal groups are the Darwin-Innes correspondence and the Darwin-Bates letters. The correspondence of Charles Darwin and the Reverend J. Brodie Innes covers a period of 35 years, from 1848 until Darwin’s death, and is that of close personal friends discussing the trials and triumphs of family life, Darwin’s illness and the health of his children. There are also scientific discussions prompted by the observations of Innes as an amateur naturalist, as well as comments on both sides about Darwin’s publications. The Darwin-Bates correspondence began in 1860, a year after the release of Darwin’s Origin of Species, and continued until Darwin’s death in 1882. Bates was a young and obscure entomologist who had returned from an eleven year experience in the Amazon, which Darwin had visited nearly thirty years before. 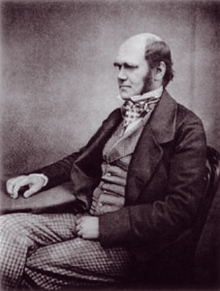 Bates wrote frequently to Darwin asking for advice. Darwin wrote to Bates asking for information about primitive peoples, climate, plants, animals, and insects, to be used in his research. A Calendar of the Correspondence of Charles Darwin, 1821-1882 (New York & London, Garland Publishing Inc., 1985) A major effort has been made by Cambridge University and the American Council of Learned Societies to locate and register the extant correspondence of Charles Darwin. As a result, many letters have been brought together thus filling in gaps and making sense out of various situations and events. Although the CALENDAR does not reproduce the entire letter, a short and helpful synopsis is given. This is available online at: Darwin Correspondence Project. The Correspondence of Charles Darwin (Cambridge, etc., Cambridge University Press, 1985- ). In this work, Darwin’s letters are printed in their entirety. At the present time 12 volumes have been printed. Access to museum collections is by appointment only. Please note that the Center does not hold patient records in its collections. Please contact Jennifer Nieves to make an appointment.